Three young New Yorkers reveal what it's like to grow up without legal immigration status. 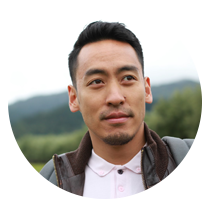 Brian Redondo (Producer & Director of Why We Rise) is a digital media producer working in everything from video to social media to mobile apps. Dedicated to social change, his work has documented the immigrant experience in both the U.S. and France, explored women's empowerment through social enterprise in India, encouraged young people to vote, and helped re-elect Barack Obama. Outside his day job working on PSA campaigns at the Ad Council, he is finishing up his independent short documentary Hurrikane about a street dancer's rise to fame in New York City. 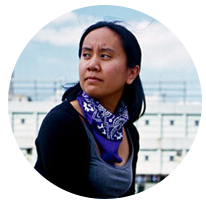 Corinne Manabat (Co-Producer & Co-Director of Why We Rise) is a Filipino American independent documentary filmmaker/media educator in NYC. She is currently co-producer of What Happened To Danny an indie feature about the death of Private Danny Chen. Most notably, her documentary short, Excuse My Gangsta Ways (2008) screened at the Museum of Modern Art (NYC), San Francisco Int'l Asian American Film Festival, Los Angeles Asian Pacific Film Festival, University of California San Diego, the New School, and Columbia University. As a teaching artist for the past four years, she has been involved with Maysles Documentary Center, Tribeca Film Institute, Third World Newsreel, and Global Action Project. Center for Asian American Media (CAAM) is a non-profit organization dedicated to presenting stories that convey the richness and diversity of Asian American experiences to the broadest audience possible. We do this by funding, producing, distributing and exhibiting works in film, television and digital media.